Today, China is a wonderful place for corporations around the world. The financial crisis laws don’t necessarily apply to China as they do to other places like Europe or the United States. So it comes natural for companies to invest more and more to expand into the Chinese market. 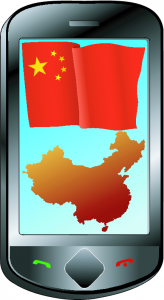 Since the end of 2011, China has surpassed the United States as the world"s largest phone market, which is great news for handset manufacturers. Smartphones also play an interesting role, as developers get interested in writing applications for the Chinese market, which would bring revenues to corporations like Apple and Google through their online stores, App Store and Google Play. Apple has naturally entered the Chinese market and there generated $7.9 billion in revenue for the first quarter, including Hong Kong and Taiwan. A three-fold increase over previous numbers, it comes natural for local companies to take interest in Apple’s popularity as well. Their interest is of another matter and it involves Apple being targeted over patent and trademark infringements. It’s very interesting considering that the company usually is the one targeting competing manufacturers. But this time they have to face allegations from newer “enemies”. The Chinese courts are uncharted territory for the Cupertino, Calif/-based corporation, and Apple can get surprised over the rulings of the Chinese legal system. A small Chinese firm, Proview, had filed a lawsuit against Apple over the “iPad” trademark. Apple claimed to have bought the rights to use the name earlier on, in 2009, but Proview disagreed. As such, Chinese authorities seized iPads, an action that clearly didn’t sit well with Apple. In the end, Apple settled the dispute for $60 million, so they can continue to sell the iPad in China. The part that’s most interesting is that the lawsuit was thrown out by a California US Judge, Mark Pierce, while the Chinese Judge didn’t agree with Apple this time. It calls for an observation that Apple can't rely on US rulings to be mirrored by Chinese courts. Apple also faces another lawsuit from “Jiangsu Snow Leopard Household Chemical”, which claims that Apple has infringed their trademark through OS X Snow Leopard by using part of their name. Whether that’s true or not, no verdict has been set yet, but it’s debatable whether the name “Snow Leopard” can be attributed as a trademark. Apple is also accused of selling pirated copies of books written by Chinese writers through the App Store. The process of verifying and removing pirated content can take months, according to the executive for the writers group. The authors claim they haven’t received any revenue from the sale of the alleged pirated books and as such demand compensation, with Apple claiming they should take the discussion over to the developers selling the products. These are interesting cases in one way or another, but there are more: Shanghai Zhi Zhen Internet Technology has sued Apple over the patents used for Siri. They are the developer of “Xiao i Robot” -- software that uses voice communication to answer questions and to provide simple conversation. The Chinese company applied for a patent in 2004, and it was granted later in 2006. It’s much like Siri according to them; the company filed the lawsuit in June. The leader of Shanghai Zhi Zhen Internet Technology demands that Apple stop infringing their patent, but considering that Apple is unlikely to remove Siri from their software it’s most likely that the demand seeks financial compensation. It’s interesting that the Chinese firm took so long to react to Apple’s introduction of Siri, considering the iPhone 4S released last year and makes for a questionable scenario of Apple infringing their patents. However, it’s up to the Chinese Court to rule upon these lawsuits and as it was the case with Proview, the rulings can surprise Apple. It also adds to the uncertainty that the rulings given in other countries might not be mirrored in China. Apple benefits from Chinese sales and it’s their strategy to make big profits in China. They will face other lawsuits in the future as well, which might turn out to give surprising rulings.